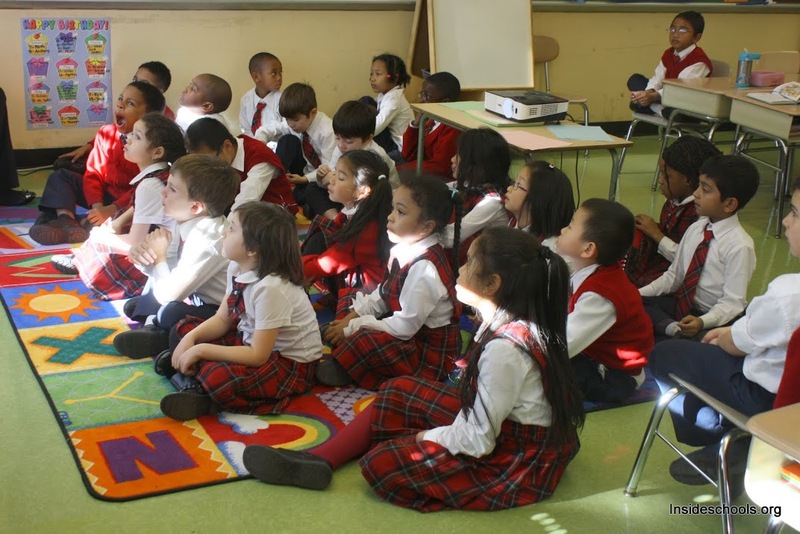 Four and five-year-olds must score in the top percentiles on a citywide exam to get accepted at TAG, one of the five citywide G&T schools. I’m as obsessive as any parent faced with the ridiculously complex process of applying for public kindergarten in New York City. I visited more than 100 schools before my son turned five. But I drew the line when it came to having him take a test to see if he would qualify for a “gifted and talented” program. He was hardly out of diapers and still throwing blocks at the time, and, although I thought he might be “gifted” (whatever that means), I couldn’t imagine him sitting still with a stranger long enough to take a test. I hasten to add that I am very lucky to live on the Upper East Side of Manhattan, where the ordinary neighborhood schools are excellent. I might well have made a different decision if I lived in a neighborhood where the local schools are not so good. Still, it’s a silly system that purports to identify 4-year-olds who score in the 99th percentile on nationally normed tests, the cutoff for so-called citywide gifted programs. Can any test really measure the difference between a very young child in the 99th percentile and one in the 98th? The very idea of telling kindergartners they are “gifted” makes me uneasy. Children need to learn that hard work is what matters and not an accident of birth. Being labeled “gifted” can lead to a fear of failure if you don’t measure up. The test measures a narrow range of skills. It won’t identify a child who may become a great musician, or a great artist, or an athlete, or someone who is good at making friends and ending playground squabbles. I want my children to be exposed to kids who are good at different kinds of things. A lot of what you learn in kindergarten is not cognitive or strictly academic. You need to learn to tie your shoes, hang up your own jacket, sit in a circle, and play nicely. You don’t need to be in a “gifted” class to master those skills. The question to ask at any school is “How to you challenge children who are good students, and how do you support kids when they need extra help?” A very good teacher can reach a range of children. My son went on to one of the city’s specialized high schools and to a selective college. If you’re considering signing your child up for the “gifted and talented” exam (the deadline is Nov. 13) and your neighborhood school is adequate, my advice is to give the test a pass. There will be plenty of time for competition and stressful academics in the years to come. Clara Hemphill is founding editor of InsideSchools and author of New York City’s Best Public Pre-K and Elementary Schools.